A collaboration between Francis and the German band Gotthard led to a single release on 5th October, titled "Bye Bye Caroline". The following information appeared on Quo's official Facebook page on the release of this single. 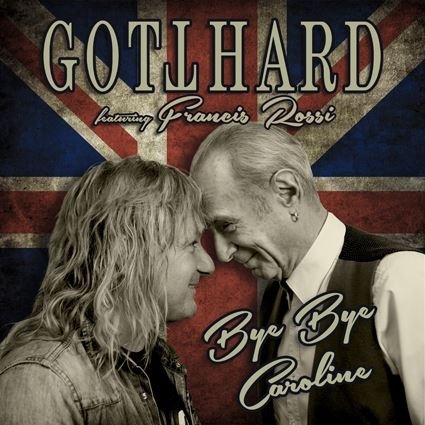 "Bye Bye Caroline – what sounds like the fusion of two beloved Status Quo hits is the title of the new single by Gotthard. Francis explains: "I met Leo [Leoni] and Nic [Maeder] during the "Rock Meets Classic" thing I did together with Gotthard, Saga, The Hooters and Supertramp this spring. I really liked Leo and Nic from the very beginning of the tour and one evening– I guess it was in Ludwigsburg, Germany – I took my acoustic guitar, went to Gotthards dressing room and the three of us started to jam along. Nic sang some cool melodies and Leo said, this song should have something to do with Caroline." You can listen to the song in full on YouTube. Quo rounded out their live work for the year in impressive style with a well-attended gig at the famous Hallenstadion in Zürich. I recall seeing flyers for this gig when attending the "Last Night of the Electrics" gig at the same venue on 15th October 2016 and finding it hard to believe this gig would ever happen! 10,000+ fans got to enjoy the band again on Swiss soil, so who knows if this will be the last time the band play this venue? Some excellent pro photos from this gig can be found here.